Born in Rochester, Minnesota, John Uhlenhopp grew up in Bogotà, Colombia. He was grand prize winner of the 1994 Richard Tauber International Tenor Competition and winner at the Metropolitan Opera National Council Auditions. In addition he won the Liederkranz Foundation Award in 1995 and was a semi-finalist at the Belvedere International Concours in Vienna in 1996. John Uhlenhopp is fast becoming one of the most sought-after tenors in his repertoire. Recent highlights include Tristan TRISTAN UND ISOLDE for Teatro Regio Torino, in Bremen and for the re-opening of the opera house in Wuppertal; Shuisky BORIS GODUNOV for San Francisco Opera debut; Eléazar LA JUIVE for La Fenice and with the Israeli Opera; Friedrich Wilhelm DER PRINZ VON HOMBURG at the Theater an der Wien; Tambourmajor WOZZECK for the Stadttheater Bern; Samson SAMSON ET DALILA for the Antikenfestspiele Trier and the National Theatre Prague; the title role in OEDIPUS REX for Teatro dell'Opera di Roma, in Turin, and in concert with the Prague and Rome Symphony Orchestras; Hoffmann LES CONTES D'HOFFMANN for Seattle Opera; the title role in PETER GRIMES in Augsburg; and Sergei LADY MACBETH OF MTSENSK, the Prince THE LOVE FOR THREE ORANGES, Boris KATYA KABANOVA, and Canio in Christoph Loy's production of I PAGLIACCI for the Deutsche Oper am Rhein in Düsseldorf. Recent performances include Jimmy Mahoney AUSTIEG UND FALL DER STADT MAHAGONNY for Israeli Opera, Tel Aviv and the title-role TRISTAN UND ISOLDE for Staatstheater Braunschweig and Den Norske Opera, Oslo. 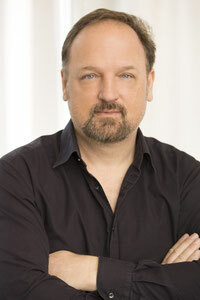 His appearances in the USA have included the roles of Alfredo LA TRAVIATA for Opera Northeast, Ismaele NABUCCO with the New York Grand Opera in Carnegie Hall, the Schoolmaster THE CUNNING LITTLE VIXEN for Seattle Opera, Arturo LUCIA DI LAMMERMOOR with the Canadian Opera Company and the Cincinnati Opera, Don José CARMEN with Arkansas Opera and Lykov TSAR'S BRIDE conducted by Eve Queller with the Opera Orchestra of New York at Carnegie Hall. His European debut came in 1995 in Giessen as Pelléas PELLÉAS ET MÉLISANDE, followed by Tom Rakewell THE RAKE'S PROGRESS, Tamino DIE ZAUBERFLÖTE and performances of Prince Florian in Sousa THE FREELANCE. He later joined the ensemble of the Luzerner Theater, where appearances have included the title roles in Gounod FAUST and LES CONTES D'HOFFMANN, Alfred DIE FLEDERMAUS, Macduff MACBETH and Bénédict BEATRICE ET BÉNÉDICT. He enjoyed great personal success making his British debut as Pinkerton in David Freeman's new production of MADAMA BUTTERFLY at the Royal Albert Hall in London. Other guest engagements include Alwa LULU in Metz, Ulysse in Fauré PENELOPE in Rennes, Don José for Den Norske Oper in Oslo, Graf IRRELOHE at the Vienna Volksoper, his return to London as Cavaradossi TOSCA and the title role in PETER GRIMES in Luzern. His concert appearances have included Dvorak Stabat Mater with the Prague Philharmonic Orchestra, conducted by Jiri Belohlavek (subsequently released on the Supraphon label), Waldemar Gurrelieder with the Rheinische Philharmonie and Das Lied von der Erde in Palma de Mallorca. In addition, he appeared as the Voice of Christ in Charles Touremire Sixth Symphony. No stranger to contemporary music, he made a critically-acclaimed appearance in 1999 at the Fetes de Vigneron with the Orchestre de la Suisse Romande conducted by Fabio Luisi.